With the new year upon us, there are a lot of big possibilities for what lies ahead within the gaming world. But one thing’s for sure- fans of BioWare games are going to have a lot of fun. That’s because we’re just a few weeks away from the arrival of a debut demo for Anthem, the huge new adventure that’ll be dropping this February. And while the developer hasn’t detailed just what we can expect from it, Michael Gamble has provided some hints. You may want to start scheduling your free time around it now, because you won’t be bored. First up, you will be able to level up in the game, though the max level is likely to be around 10 to 15. However, progress from the demo will not carry over into the final game, sadly. You can see that tweet below. As far as what you’ll be able to do within the demo, the answer is, well, quite a bit actually. Gamble explained how it will have several missions on hand, as well as a stronghold that to take over and portions of gameplay that surround the single player hub within the game, Fort Tarsis. For good measure, a little bit of “some freeplay” will also be included, so you can roam around. However, once again, keep in mind that progress will not carry over into the full game. 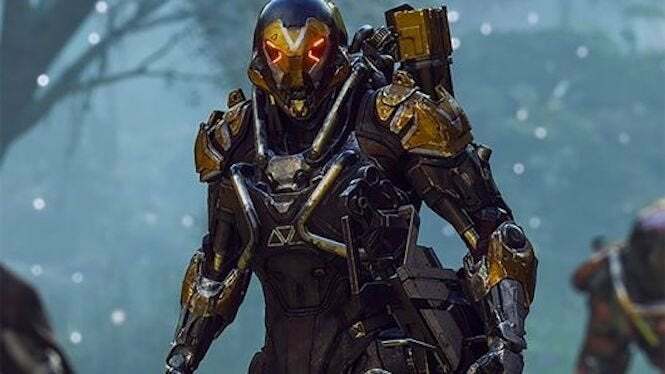 Anthem releases on February 22, 2019 for Xbox One, PlayStation 4 and Origin PC.